Childs Engineering recently completed the Pier 2 Repair Project at Naval Station Newport, RI as part of a design build team with AGM Marine Contractors, Inc. The fast track project was bid and awarded in mid-July and was completed by the beginning of September in time for the US Naval War College to host its annual International Sea Power Symposium (ISS). The project consisted of replacing portions of the existing deteriorated timber fender system with new steel fender panels designed to accommodate the berthing of fleet naval vessels along the north and south sides of the pier. Additionally, the design build team was tasked with developing and executing a load testing program to establish the adequacy of the mooring hardware to support fleet naval vessels berthing along the pier. 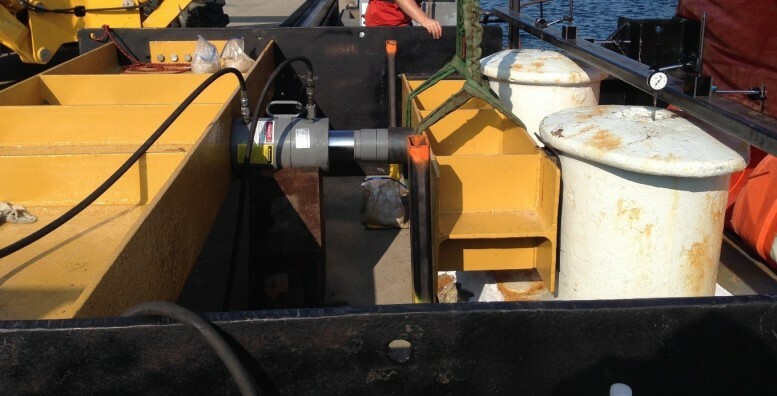 Childs Engineering developed a mooring hardware testing plan and with the help of AGM Contractors, Inc. built a reaction frame and successfully tested 20 pieces of mooring hardware (double bitts and bollards) along Pier 2. At the completion of the project, the design build team was awarded a prestigious Command Coin from base commander Capt. Mikatarian in recognition of their outstanding level of effort on the project.